Credit: Copyright image by Stacey Gledhill, courtesy of Sedos, used with permission. All rights reserved.Sedos, one of London's outstanding amateur theatre companies, presents the London Premiere of Serial Killers by James Griffin. One of New Zealand's most successful television writers, Griffin has also written for Outrageous Fortune, Diplomatic Immunity, The Almightly Johnsons and Shortland Street, an acclaimed New Zealand television series. A team of writers work at the “table of pain” – the work desk – on the creation of Heart of Hearts, a TV medical soap opera. As they work, a long list of failed relationships and nepotism within the group becomes clear. Real lives become intermixed with scenes from Heart of Hearts, and boundaries between reality and art blur. Storylines become ever more ridiculous, with each writer playing out their soap opera alter ego. Faced with falling ratings, the team has to find a way of writing out one of the main characters, Dr Robert Gilligan. He doesn't want to go, and the soap becomes all too real when he takes action to force the team to change the script. Serial Killers is directed by Matt Bentley, a new director for Sedos. Dawn Harrison-Wallace, chair of Sedos, said: "Matt Bentley directing Serial Killers is a good example of Sedos taking a risk on an unknown director who has a good pitch and a quirky title - he hasn't been involved in Sedos before, but impressed us at the pitch stage with his previous experience and ideas. As a society, we are always looking to widen our pool of directors and to give people chances to prove themselves." 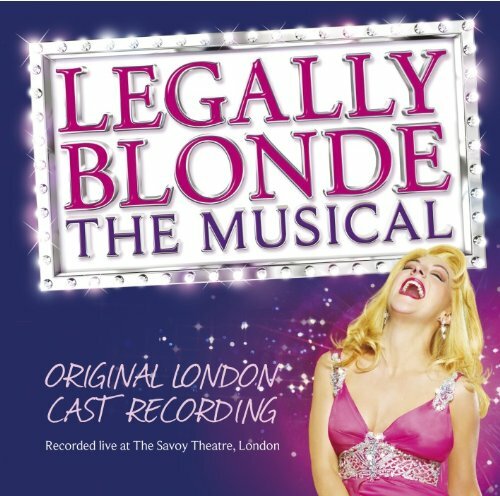 Sedos recently presented Legally Blonde: The Musical - a very successful production. Infobarrel: Please tell us about your previous experience in New Zealand. Matt Bentley: I have been involved in theatre for as long as I can remember. My father was an actor, writer and director, mostly in community theatre, so I grew up in rehearsal spaces. I did a lot of acting throughout high school, and one of the majors of my BA was theatre (which was mainly to keep me grounded while I studied law). 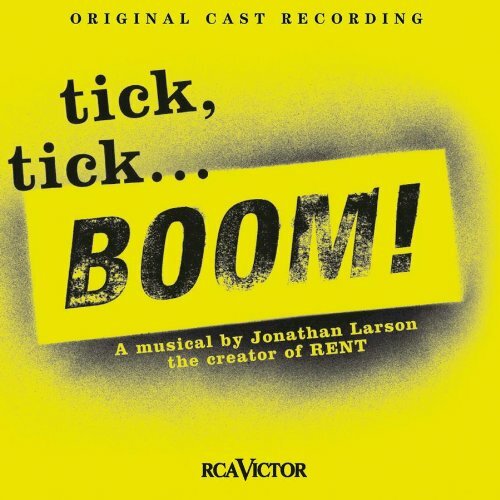 I directed one full-length play in my last year of high-school, but didn’t really catch the bug until two friends and I decided to form a new theatre company to produce Jonathan Larson’s tick, tick… BOOM! From there I directed a number of shows, both for our company and for a number of other groups throughout the Wellington region. Highlights include The Cat’s Meow, The Breakfast Club, Curtains, and By Jeeves. Infobarrel: What is it about Serial Killers that has fired your imagination? Matt Bentley: First of all, Serial Killers is hilarious. It’s not afraid to be crude, or obscene, or brutally honest; it’s about five very articulate people in a room discussing anything and everything, so things are going to get real. And of course it’s also about TV, which is something we interact with on a daily basis, and we all wonder about at some point. There’s a reason why makings-of and true Hollywood stories are so popular; we want to know the scandal behind the story. Serial Killers is written by a former soap opera writer, so it certainly doesn’t disappoint on that front, and contains some very harsh truths. Infobarrel: How does Serial Killers compare to previous shows you’ve directed – does that experience help with this production. Credit: Rehearsal image by Stacey Gledhill. Copyright image courtesy of Sedos, used with permission. All rights reserved.Matt Bentley: I guess the closest comparison is The Breakfast Club, which is also five people talking in a room with a few outside influences. That show really helped me figure out how to direct a lot of dialogue with limited action, while still making it engaging and interesting. Comparatively, this play has a lot less music and required movement than most of what I’ve directed previously, but I like to think the few bits of music we have been able to sneak in are very effective. I was determined that even though we are moving the setting of the play from Auckland to London, that I would find as many opportunities as possible to include New Zealand music. The audience may even discover some new favourites! Infobarrel: What qualities were you looking for at the auditions for this show? Matt Bentley: Comic timing, and a group of people who fit well together. The script is so open with the character descriptions that I didn’t need to be worried about looks at all – anyone can be a writer (that being said, I’ve somehow ended up with a shockingly attractive cast). The main thing was to find seven people who worked very well together and would make the rehearsal space a fun place to be in. There’s no point in taking this stuff too seriously; it’s called a play for a reason. But they also had to be able to make the jokes land. I’ve been very fortunate. Infobarrel: What’s the most challenging aspect of this production? Matt Bentley: At some points it’s been getting through key scenes without the cast breaking into fits of laughter. Fortunately we’ve worked through that now. I honestly thought it was going to be the big two-person scene near the end of the play; it’s a long scene, so there’s a risk of it dragging. Fortunately we have two amazing performers who have taken that on. They’ve done an incredible job. Matt Bentley: This is my first show working with Sedos, and I have to say they have an incredibly strong reputation for a reason. The number of generous, talented people who have come out of the woodwork to support us has been fantastic. A Sedos production always promises to be a memorable night out, and Serial Killers is no exception. A well-matched team of actors ensure the drama never drags, which as Matt says above, could be a real danger in some of the longer scenes. 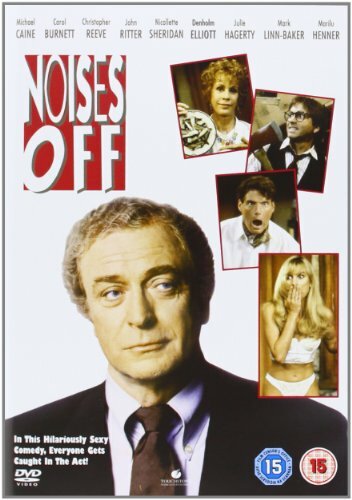 The performers' enthusiasm for this comedy-drama is clear throughout the production. Just occasionally there is a tendency for dialogue to be rushed so that some members of the audience could momentarily lose the plot. I was slightly disappointed with the ending but that's down to James Griffin and not the fault of Sedos. Serial Killers certainly does have its moments, and I guarantee you'll never look at a soap opera in the same light again! Serial Killers is at The Bridewell Theatre, London, from 30th June to 4th July 2015. Further details, together with information about forthcoming productions, is available from Sedos. Summer Season – 12th to 18th July 2015 – The Sedos Summer Season includes workshops, performances, and special events with plenty of chances to learn new theatre skills. 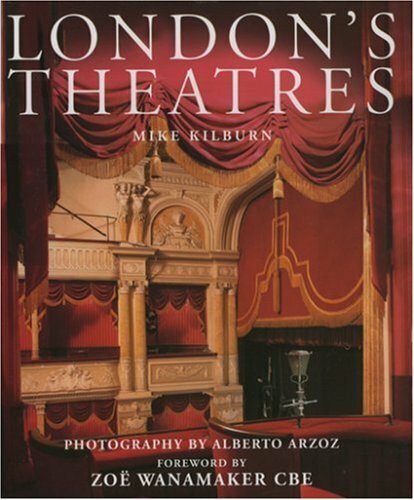 Everything you ever wanted to know about London's Theatres, with forward by Zoe Wanamaker.